Rita Ora was on hand for the march in LA this weekend and earlier today(March 28th) she was spotted arriving for a flight at LAX airport. 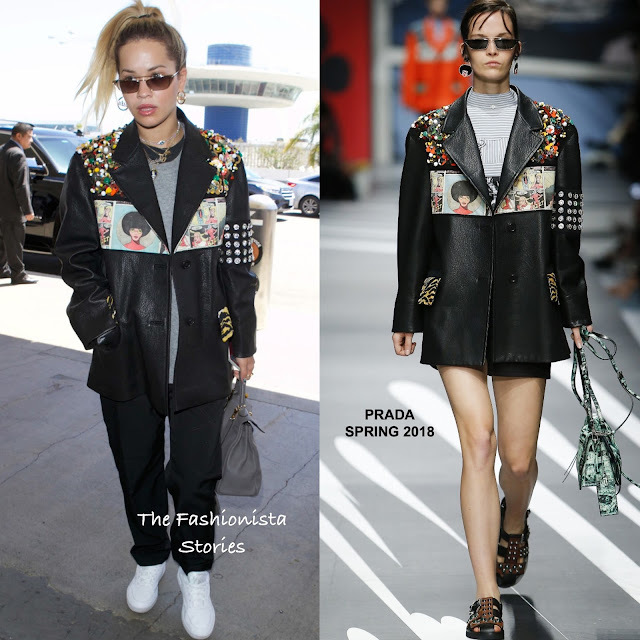 Her casual off-duty look featured a PRADA SPRING 2018 black printed embellished leather jacket which was teamed with tee shirts underneath and black jeans. I love this jacket because it is a versatile pieces which can be casually worn or dressed up. It's a little big on her but her travel look works. Are you feeling Rita's jacket?